In the bottom of a large salad bowl add the vinegar, salt, sweetener, and mustard. Slowly drizzle in the olive oil, whisking all the while. 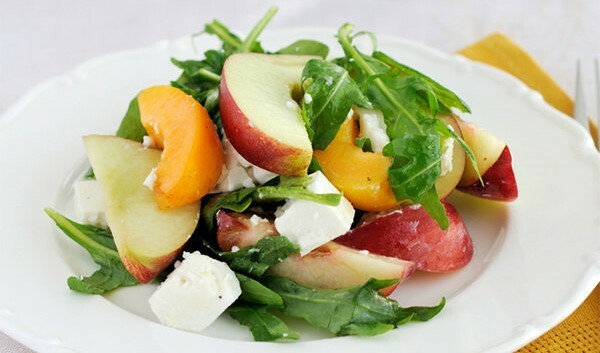 After dressing is mixed, toss in the arugula or spring mix, fruit, onions, and tomatoes (if using). Sprinkle in the Maldon salt flakes at the end (if using), and toss again.